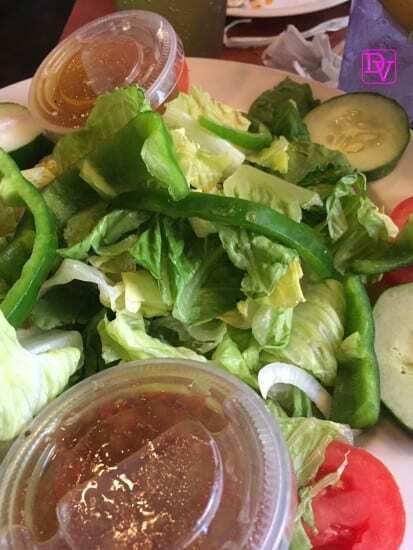 One of the hardest things we find when traveling as a family is not only the food we all desire, but a location that offers allergen free dining. This time, we were out and traveling in Virginia Beach, and we were staying right on Atlantic Avenue. As you know if you have been to Virginia Beach once you park your car, you don’t take a parked car out of its parking space because you will never get a spot again, since parking is at a premium. If you have read my blog before you know that my son has severe food allergies and finding places we can eat on vacation is always a challenge. After a great day of fun in the sun we were starving and we needed allergen free dining in Virginia Beach. 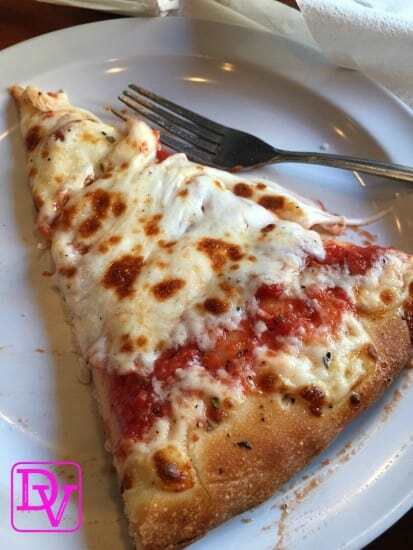 After stopping at Big Italy and learning that there was ‘no way they could possibly accommodate food allergies or guarantee us dining free of cross-contamination, we headed up the street for allergen free dining in Virginia Beach for delicious and reasonable pizza, pasta and salads! Lavishly live this tale of allergen free dining in Virginia Beach. 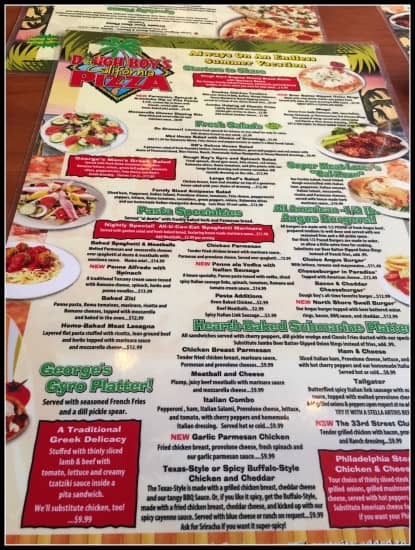 We loved the look of Big Italy, the possibility of dining in anyone of their 3 restaurants, but they did not have the desire to accommodate a family in need of allergen free eating. This had so many families dining in it, and hour long waits, but you could smell the deliciousness oozing throughout the restaurant and the whole block that it takes up! It is a shame we could not eat there. Our allergies range from seafood, to nuts and latex and a few other items in between and they brought out their Managing Chef to speak with me and his answer unfortunately was NO to being able to accommodate. As a mom of a child with severe food allergies, the real possibility of ending up in the hospital after having food contaminated is such a strong possibility that I can not be careful enough in screening the food managers and getting the RIGHT answers. It is best to be turned away rather than lied to and then spend the night watching your child suffer. 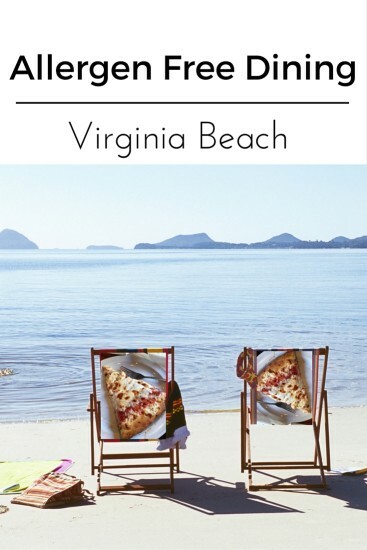 I had a Virginia Beach Coupon Book in hand and we simply looked in the book to see what other places might be popular. See I was not using the coupon book to find places to eat with that accepted coupons, but rather places that were popular so I assumed would be delicious! Suddenly we hit gold…. We headed back down the street and we stopped at what looked like a tattered looking location, a bit weathered on the outside, but we stopped. There were a lot of people at the bar and the booths were loaded with people smiling and eating PIZZA. Now I am not going to sell you on the cleanliness of this eatery, cause it is not one of the finest establishments we have been in, but it served its purpose. If you are a white glove tester and looking for cleanliness close your eyes, this is not the place for you. If you are a vacationing Momma and just want to feed your family some good pizza pie, then say, CIAO! because this is a great place to do this! The booths are beat on, the windows and ledges a tad dirty, and the tables were sticky, but the food was amazing. The bathroom was also in an odd location, and they were small bathroom facilities for the amount of people they were hosting in this place, but again, it all served its purpose and we got fed, safely. My whole objective was to feed my family and I walked up and spoke to a VERY Friendly hostess. She grabbed the manager and he assured me that we could eat there without a problem. Latex free food prep (they use vinyl gloves), pizza crust free of any cross-contamination and salads free of croutons that contain nuts, it’s a GO! Here’s what we got and I want to make sure that you know that this was an awesome price for a pizza, 4 salads, bread sticks and sodas all around the table: $27.99 because we used a coupon book that our hotel gave us when we checked in. My family of four was well-fed for Under $30 sins the tip and very content with the food. What a great value and honestly it was one of the BEST values in that little book that we used! We had a family pizza combo, with bread sticks, pizza and salads. Here is what the pizza looked like and it was totally YUM! Would we go back to Dough Boy’s California Pizza? Absolutely. We were in Virginia Beach on vacation and the only thing we wanted to do was have fun. We were not invited by Dough Boy’s California Pizza we took ourselves. We had a party of 4, and the place was packed, before, during and after we ate, so go early and hope for the best. The serving staff is nice, the food is good and you can walk off anything you eat with shopping after your meal! Walk in, from any of your beach locations rather than driving. Lavishly live dining out loud with Allergen Free Dining In Virginia Beach.